Depression and training – can you have both? Mental health is private and personal. Training in class is public and visible. No-one knows how you are feeling, what you are saying to yourself inside your head. How could the tough confrontational world of Kung Fu possibly help? We train hard, there is physical and mental pressure to focus and move, to improve technique week after week. We stand side-by-side in class, trying to keep up, catch on to new skills, do one more push-up than last time. So what about all the research being done on the effects of training on depression, such as in January’s issue of Scientific American Mind? As we so often do, we looked within our Club for answers. Instructor Joshua Villar did the asking. And he didn’t have to go far, as he trains with Professor Carmine Pariante. Depression is such a delicate and complex subject that I very quickly became aware of how challenging this article would be to write. I realised I would have to show people how Kung Fu can benefit someone suffering from depression without making Kung Fu sound like ‘the cure’. I asked for the help from Professor Carmine Pariante, a long time Kung Fu brother, and asked three students from class to give me their experiences of how Kung Fu helped with their depression. They generously shared with me what is a very personal thing and so they remain anonymous. When you read this article look at what tools and skills Kung Fu can give you and how our students can use them to help fight depression. As a clinician and a scientist, I can point to the evidence that physical exercise, irrespectively from the type of exercise, has antidepressant effects. Clinical trials comparing physical exercise to a ‘dummy’ treatment, show that physical exercise (mostly aerobic exercise, although some studies have examined resistance training) lifts mood in people who are depressed. Experimental studies show that this might be due to the ability of physical exercise to dampen the activity of the immune system, and we now know that depressed patients tend to have a hyperactive immune system which participates to the development and maintenance of the low mood. The additional effects of physical exercise on many other health parameters (reducing weight, blood lipids and body weight, to name the most important) add to the feeling of wellbeing and thus to the lifting of the mood. But, as a Kung Fu student, I have myself seen that the benefits of this discipline go beyond the strenuous physical exercise. The same running and jumping and sweating, but alone in a dark room, would not have the same effects. Kung Fu is a unique discipline as it holds all of the aspects of physical well-being. It encompasses strength, aerobic fitness, anaerobic fitness, flexibility and mental strength in a holistic and balanced way. As one student, who suffers from depression, told me ‘I tried going to the gym but it never hit the spot, it was boring and a chore. 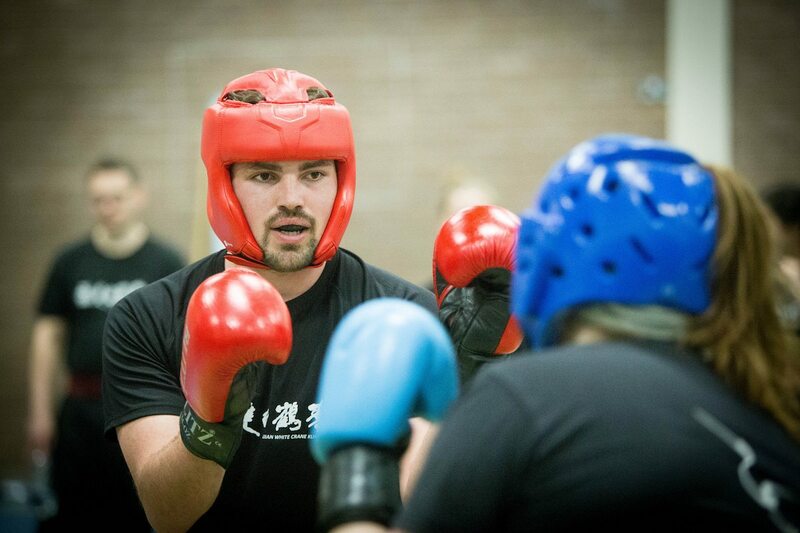 My first Kung Fu lesson was like a slap in the face, it woke me up, I had no idea exercise could feel so good’. 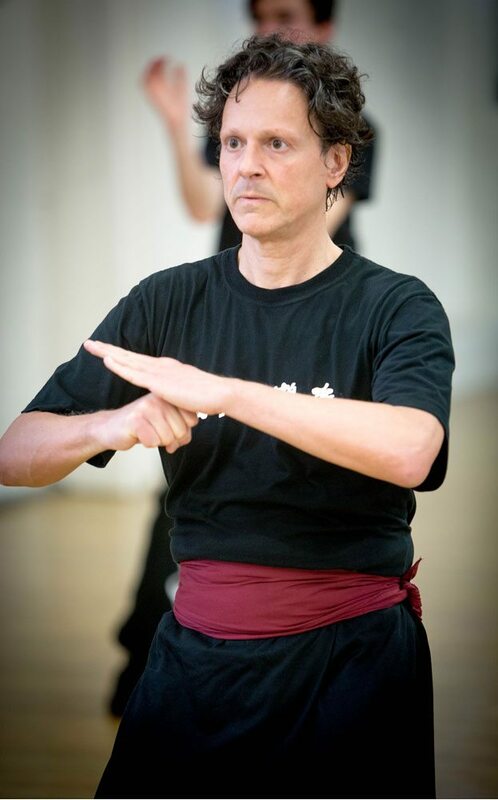 As an Instructor and long time student of Fujian White Crane Kung Fu, I have seen people walk into class who are tired and have had a hard day be rejuvenated by a Kung Fu lesson. Leaving a lesson physically stimulated and emotionally upbeat. Kung Fu increases self-esteem. Train hard enough and you will notice improvements in the way you perform the movements, raise your head, straighten your shoulders, stand up straight, walk steadily, hold your gaze. The simple satisfaction of improving in something by training is an emotion that we so rarely have in our adult lives, often confined to repetitive jobs where we always use the same skills at the same levels – and it does marvels for your self-esteem. Finally, we are a soldier in an army: deep down, we train to harm and kill. This has deeper meaning that any normal physical exercise. You are confronted with our fragility, the thin barrier that separates life and death. At the same time, being in an army means you are not alone. The time spent together, the physical closeness during the exercise, the reciprocal infliction of physical pain: this creates human connection. And of course, passing the time together with the other students does the rest: children become adolescents; adolescents find their first job; adults get married, have children, grow older. The social events bring the laughing, the memories, the anecdotes. This is the stuff that intimacy and social bonding are made of, which is so important to mental wellbeing and to lifting the mood. Standing shoulder to shoulder with your fellow students, feeling the same pain and elation, forms a bond with people that makes you more like brothers and sisters than friends. You may have a completely different job and lifestyle than the people around you, you may never go out to the pub with them, meet their family or have anything in common outside of the Club. But when you stand next to them and you see them overcome their physical and mental barriers as you do, you gain a resounding respect for each other, a respect that becomes stronger and stronger the longer you train with one another. ‘The supportive and friendly atmosphere of the club has meant that no matter how depressed I feel, nine times out of ten I am lifted when I go to class and train’. It’s not a cure. And it doesn’t mean that you will always feel better. But it may be worth a try. With thanks to Ben Hallifax for the Photos. Carmine regularly writes for the Huffington Post. His most recent article is entitled: On Pain, Mental Health, Opioid Addiction, Spirituality and Kung Fu You may recognise some of the people in the photos.